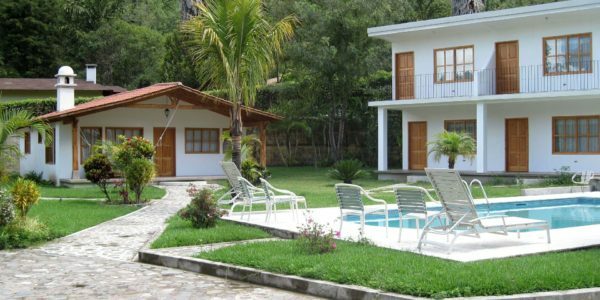 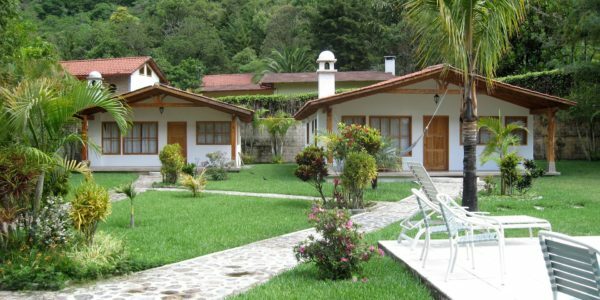 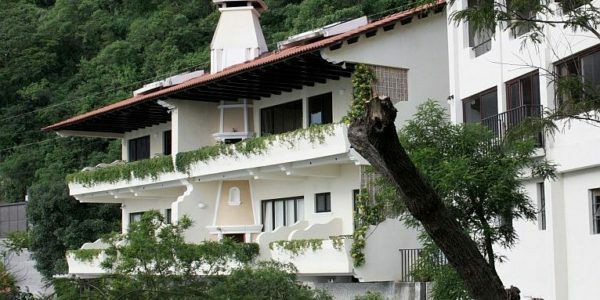 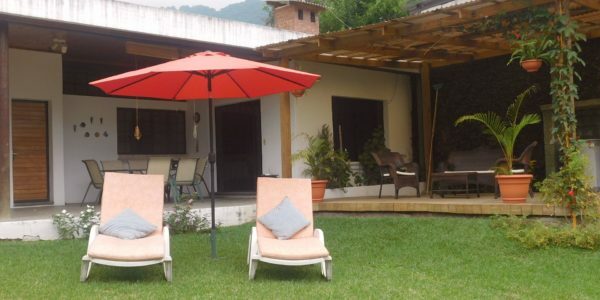 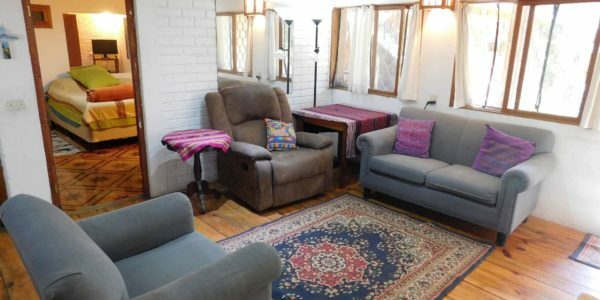 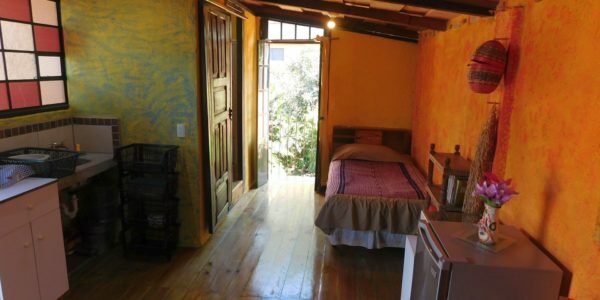 A comfortable 4-bedroom house in Panajachel (Pana), just over the Amistad bridge into Jucanya makes it the perfect location for family and friends visiting or volunteering in Panajachel, Lake Atitlan. 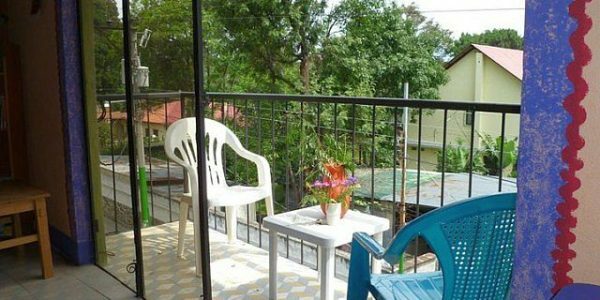 It is unusual in that it offers three double bedrooms, 1 twin bedroom and two bathrooms in a 2-storey building with a garden and terrace. 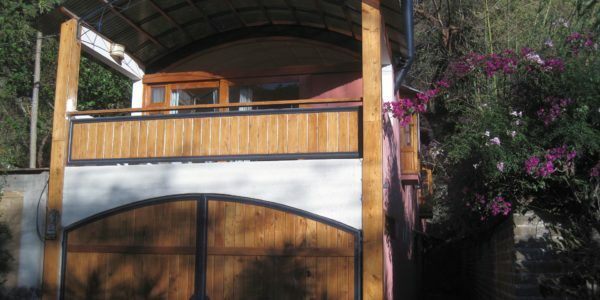 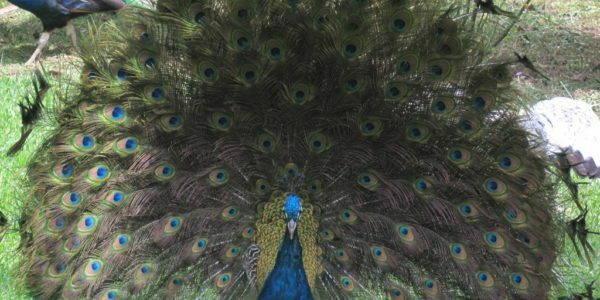 It can sleep a maximum of 10 people (please ask though for prices if more than 8 people). 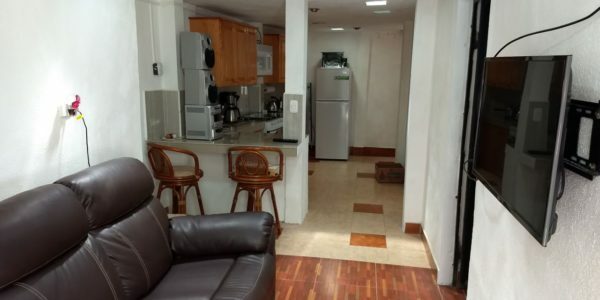 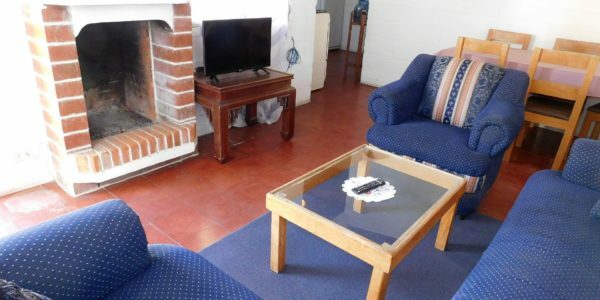 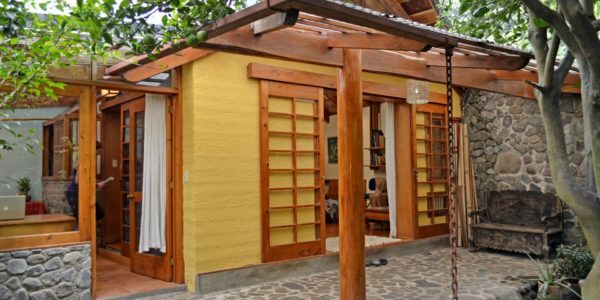 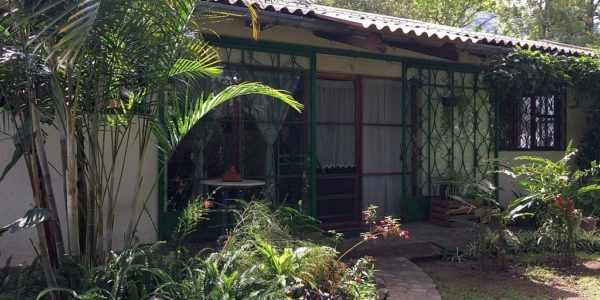 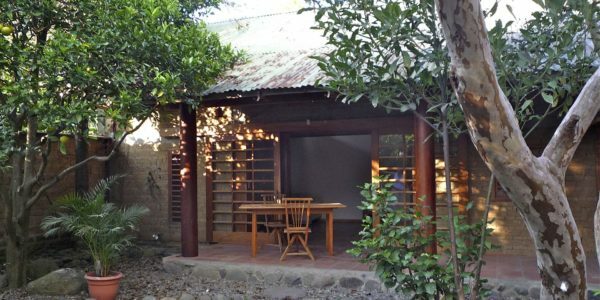 This is in a residential area of Panajachel and is within easy walking or tuk tuk distance from the docks, Calle Santander, the local market and all restaurants, cafes, grocery stores and banks. 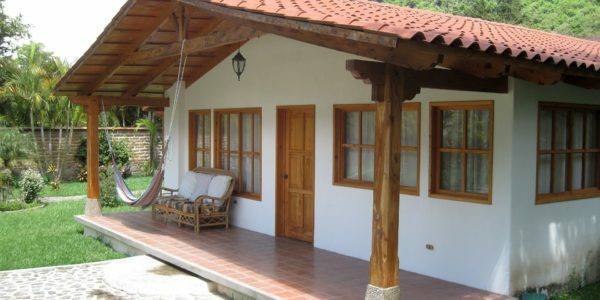 On the ground floor is a well-equipped kitchen and dining room, as well as a bathroom and 2 double bedrooms. 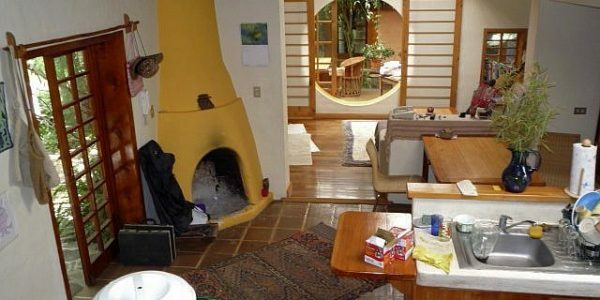 Up an exterior staircase are two more double bedrooms, a second bathroom (also with a shower) and a third room used as the Living/TV room and a small terrace. 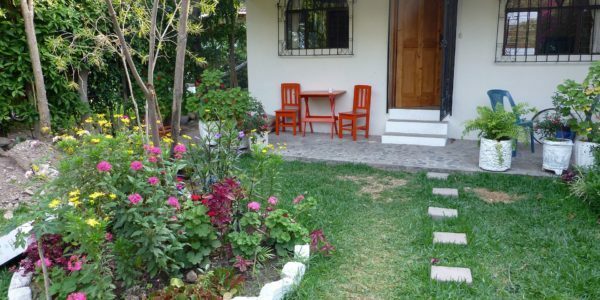 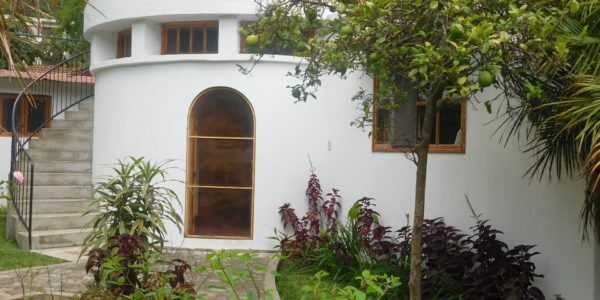 The home is accessible via a callejon (not car accessible) through a medium-sized garden, providing privacy and tranquillity.